...through wiping, we learn. : ...and Time, is ticking away. ...and Time, is ticking away. 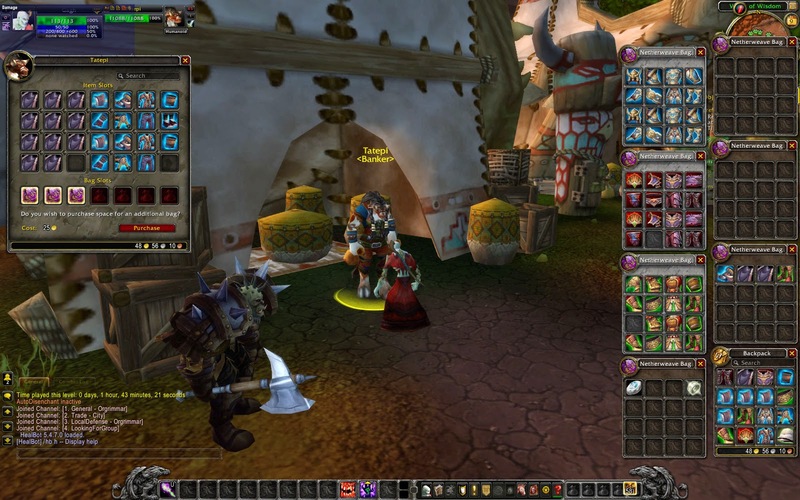 I recently joined Blog Azeroth. I have known about them for ages, but somehow never joined. Now one of the things they have is a bi-weekly common topic for your blog. 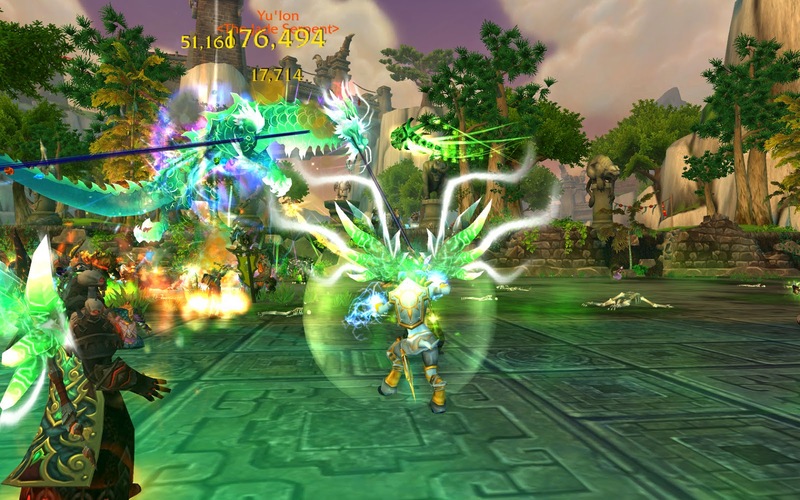 This weeks topic, which you can find here, is about what you actually do on the Timeless Isle. The timeless isle is now live for 7 months, let that sink in...we have been there for SEVEN months, and still each week, people go there to do stuff. It seems a little bit more quiet now...but only a little bit. And I am one of those still going. Lorinthe against Ordos, just before she wins her new Helmet. It is simple, every week, at least two of my alts are heading towards the Timeless Isle to kill some World Bosses. That lootpinata called Ordos drops nice warforged gear, and my alts really want some of that. The Celestials where actually lower on my list, considering that most of my alts have two tier-pieces, but with the Ilvl-550 PvP gear, they again are a target of opportunity. Verulani standing in green stuff. All my alts have been there, getting their timeless gear, and their burdens (mostly used on feet). But Mardah never goes there anymore. Their is nothing their for her. At the start, I was running her there every day, for gear, for coins, for valor and for leather. But there is nothing left for her there, although maybe I could go for some reputation, but not now. I do go hunting rares with other alts though, sometimes for the quick charms to get the seals later, but sometimes just to spend some time whacking things, while still getting stuff I could use. But wait, doesn't Mardah needs those charms? Not really, those first few weeks gave a lot. One thing though, you can now send BoA-stuff all over your account, so, I have this lvl1 warlock on The Sha'tar server.... with enough timeless gear for 8 new level 90's. Gagh, and his timeless bank. Luckily I am on a PVE-server. 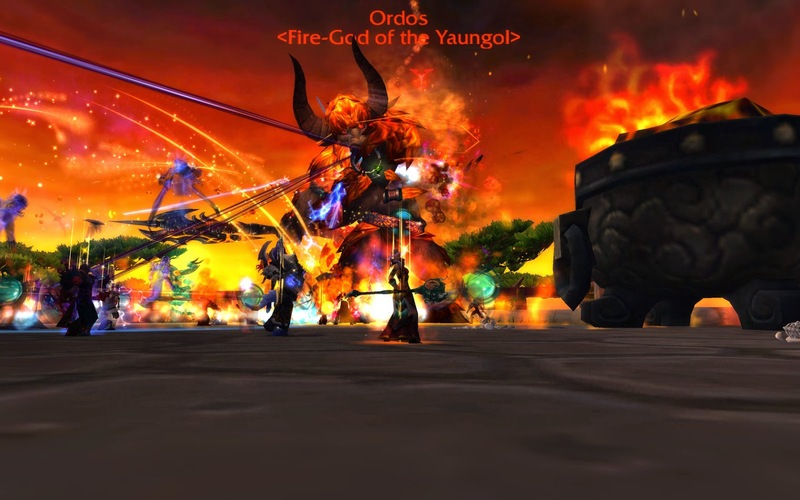 The few times I was transported to a PvP-realm was...well.. I didn't liked it. Imagine materializing between a pack of Horde... yeah.. that didn't went well. I do think the timeless isle was fun. It was a quick way to get you characters up to date at the end of an expansion. The mobs that you have to kill have interesting abilities. And stuff dropped everywhere. But, it has been seven months now, I would not mind doing something else now, like leveling a death knight to 90 or something like that. Hi there! yay new found blogger, definitely adding you to my blog list now. ANyway, thanks for sharing your thoughts on Timeless isle topic for BA forums this week, its actually used to be weekly but we like to extend that timeline so that bloggers wont be pressured to post there thoughts on it. I still spent time in timeless isle, knowing that ive collected more than 57,000+ coins that i really wish we can convert it to gold huh? lol Anyway, Thanks again! Strange encounters of the Third Cloak.